Finding the top choice backpack for women is no easy task. Aside from the fact that the selection satisfies the aesthetic requirements of women, it should also be able to withstand the wear and tear of long-term use. Other backpack “musts” include the following. It should be water-resistant or at least have some compartments that are water-resistant. Lightweight, water-proof materials like treated nylon fiber or other semi-water resistant fabric help to keep some women’s personal items safe from moisture or rain. Great backpacks have multiple compartments for several types of personal belongings. Traveling women sometimes bring more stuff with them than men do – make up, flip flops, different types of shoes, various types of underwear or lingerie, tote bags for shopping – you name it, they would bring it with them. This is why a backpack with more than just a main compartment will appeal to most women on-the-go. Backpacks with internal frames maintain a consistent shape or form. These frames will be made of light-weight materials like carbon fiber or durable plastic and will not add to the inconvenience when traveling with a full rucksack. 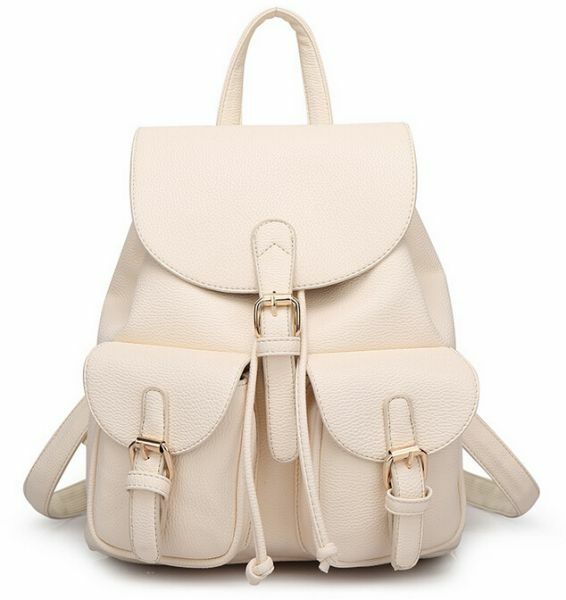 Women’s backpacks need to have padded support all around. In order to relieve the pressure or weight on the wearer, the best knapsacks for women are ones that have a padded back, padded shoulder straps and padded hip belt that put less pressure or strain on these body areas. The padded back needs to follow the contours of the lumbar curve and at the same time allow air to breath through the material. The shoulder straps should be designed to take pressure off of the shoulders and lower back while being strong and snap-free. The Padded hip belt should not only provide support around the waist but also be adjustable. Dakine was established in Hawaii in 1979 at the base of Mt. Hood in Hood River, Oregon. To this day, the company continues to design and manufacture quality backpacks, travel bags, accessories, outerwear and even outdoor clothing for sportspeople and travelers alike. For adventurous and practical women on the look out for a top-of-the-line backpack, the Dakine Prom 25L Women’s Backpack is the best choice in the market. Made from imported polyester, Dakine Prom 25L has a huge main compartment – about 25-liter in capacity, with dimensions 18 x 12 x 9 inches and weighs 1.7 pounds – big enough for a 14-inch laptop and other paraphernalia such as a mouse, power cables and a water bottle. Aside from an eyeglasses pocket, this knapsack has an insulated cooler pocket for snacks and an external organizer compartment for a mobile phone, pens and other school items. Read this post on Backpacks.Global about the Dakine Prom 25L Women’s Backpack.